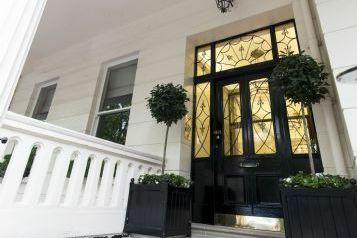 Situated on the north side of Eaton Square and arranged on basement, ground and four upper floors, this property forms part of an imposing Grade II listed terrace. 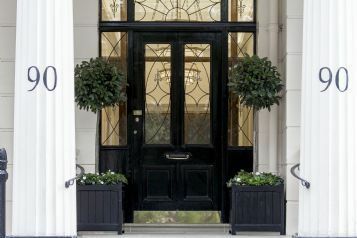 Conceived by an architect and interior design specialist, and with a design team which included a services engineer and carbon consultant, this project comprised an upgrade of the principal entrance to the property, together with the ancillary circulation space. It also incorporated measures to improve energy efficiency within the building. 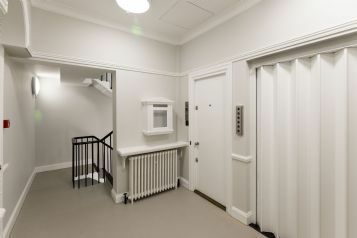 The main entrance lobby and hallway at ground floor level, together with the first floor lift lobby, were extensively refurbished with existing wall coverings removed and polished plaster applied. Limestone flooring was laid to the ground floor entrances with new broadloom carpet coverings to upper levels. 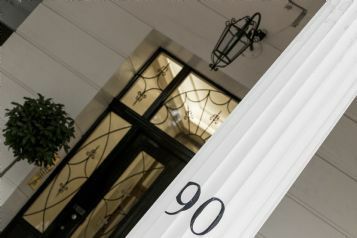 Architect designed bespoke solid walnut fire doors with solid bronze panelling, which were made in our own joinery shop, were installed to the rear of the main entrance hallway. Previously painted surfaces were redecorated in line with the new design concept. 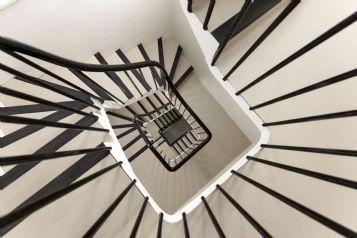 The service staircases were refreshed with decoration and renewal of vinyl floor coverings. 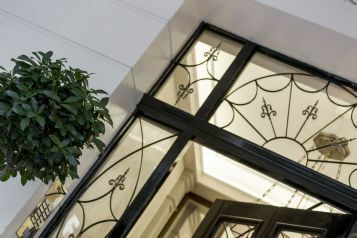 Original single glazed Crittall metal windows and doors were replaced with powder coated steel framed double glazed units to improve thermal performance. 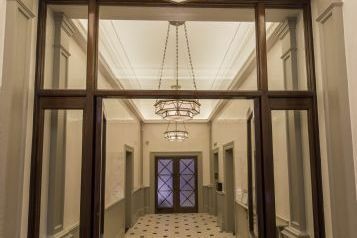 Movement controlled lighting incorporating emergency fittings was installed throughout, together with new designer pendant light fittings in the main entrance areas, and energy efficient LED strip lighting to pelmets. The property remained fully occupied throughout this potentially disruptive project. The delivery team, supported by a dedicated customer liaison manager, kept all residents updated via weekly newsletters and minimised disruption through careful and effective planning of the works.